The Tech Challenge, a signature program of The Tech Museum of Innovation, is a key part of our mission to inspire the innovator in everyone. Each year, we present a new design challenge inspired by a real-world scenario. To date, more than 25,000 students have honed their creative problem-solving and teamwork skills as part of this annual program. Participants' efforts are recognized and celebrated. 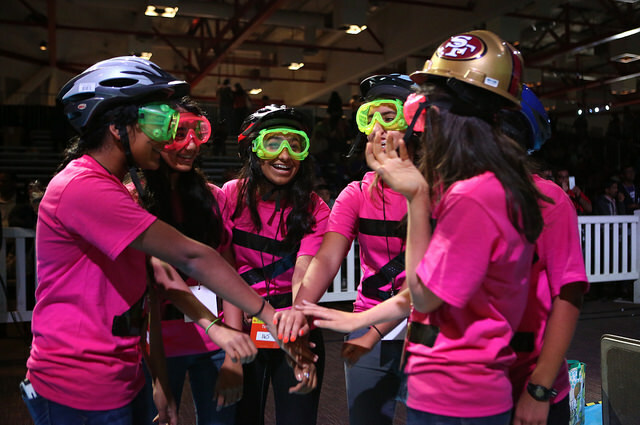 The challenge takes place over several months as participants form a team, design, build and test their project. Teams document every step of their process including testing, brainstorming, and most importantly what they learn through experimentation and failure. The challenge culminates in a showcase weekend, when the teams present their project to judges in front of family and friends.